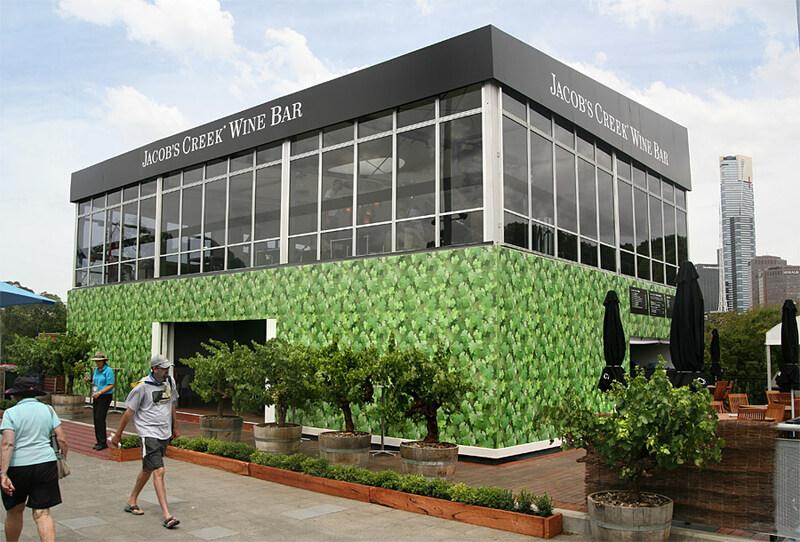 We designed a wine bar for Jacob's Creek to launch their sponsorship of the Australian Tennis Open. 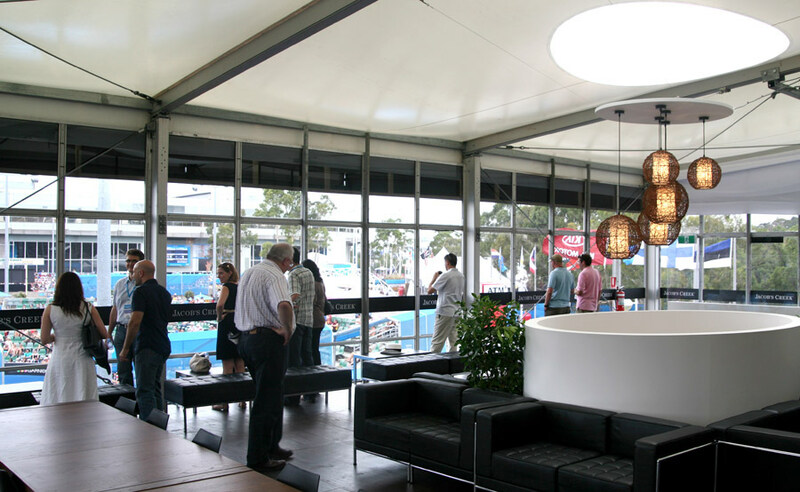 We designed a wine bar which was built in Melbourne for the Australian Tennis Open. 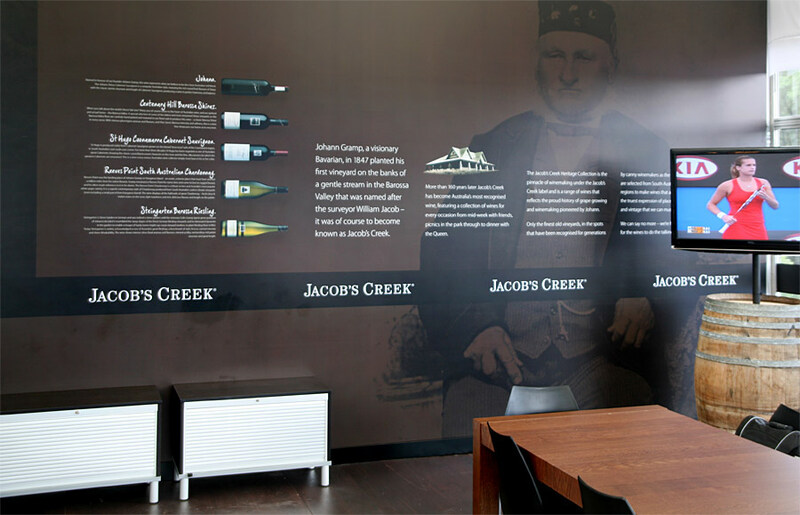 The 2 story structure not only served as a bold branding exercise but as a fully functioning bar and cafe overlooking Showcourt 2.